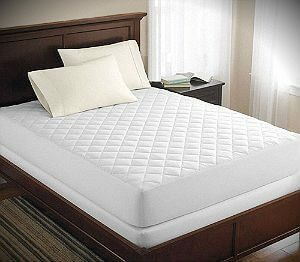 The best way to restore the clean and healthy state of your mattresses is to provide steam cleaning on them. This is performed with specialised machines which work under pressure with water and suitable cleaning solution. Our company is at your disposal in Camden Town to provide effective mattress cleaning for your home, hostel, hotel and property for rent. Use our services which are carried out by some of the most qualified and skilled cleaners. They can remove the blemishes, odours, bed bugs, allergens, dust mites and other contaminants from your beds. We work seven days in the week and offer affordable mattress cleaning services. If the mattresses in your hotel, bed and breakfast estate, flat which you rent out or other property need professional cleaning, call us to reserve them. Our cleaners have the skills, experience and equipment to implement effective and thorough sanitising of all kinds of mattresses. They pre-treat heavily soiled areas in the mattress, apply suitable detergents for removing stains and unpleasant smells. 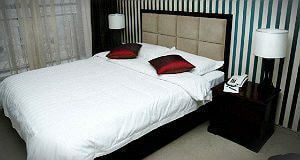 The steam cleaning which our staff perform is with hot water and mild cleaning solution to disinfect the mattress. The machines extract all allergens and dirt particles from the mattresses after which our staff deodorise them. Regardless if you need thorough sanitising of the mattresses in your home, rented flat, bed and breakfast estate, located in NW1, you can rely on our employees to conduct the mattress cleaning. Our staff are being trained on a regular basis to keep their skills and knowledge on the necessary level and apply the latest and most effective methods for sanitising. If you count on them to implement mattress cleaning in your domestic or business property, based in Camden Town, NW1, the results will be excellent.